America is not alone in having this occurring, it happens on a daily basis in SA as well - please don't offer your dog for free. In SA adverts such as this are often found in Gumtree, Junk Mail and similar - please share and let's spread the word about this please. Every responsible dog owner or pet parent knows that getting a dog is a life-long commitment. From the moment you open your heart and home to a loyal dog, you’re in it for the long haul, through sickness and health, ups and downs, good and bad, through snuggles on the couch to picking up the pieces of yet another pair of shredded shoes. Responsible dog owners make decisions with their dog in mind. We don’t move to a new home without making sure the furkids are welcomed in the new community, we don’t spend frivolously without making sure the dog is cared for first, and, when times get tough, we’ll skip a meal so that the dog still gets his. Unfortunately, not all dog owners are responsible. Close to 4 million dogs enter rescue shelters each year in the United States alone, with about 60% of these facing euthanasia. Shelters and animal rescues are busting at the seams as a direct result of irresponsible pet ownership. Still, even responsible dog owners can sometimes find themselves searching for a good home for their beloved pet. Unexpected circumstances, illness, injury, death, economic collapse. Things happen. Because our rescues and shelters are packed full, responsible pet owners have an increasingly tough time finding a good home for their pets and are turning to direct-to-consumer classified ads, like Craigslist or the local newspaper, thinking that they’re doing the right thing for their dog. Sometimes, a good samaritan finds a stray dog and, rather than call animal control and risk the dog being euthanized, will put up a classified ad to find a new home. A military family was deploying overseas and couldn’t take their pitbull-mix; a single mother was having another child and could no longer afford to care for her Catahoula-mix; another was re-homing his deceased father’s beloved Beagle. Though most of us would find ways to keep our dogs in each of these cases, none of them are particularly terrible reasons to re-home an animal. All 3 were genuinely concerned for the well-being of their dogs and felt they were doing the right thing. All 3 listed their pets as “free to a good home” because they didn’t want to profit from a “sale” of their pet, but ultimately only wanted to find a loving home for the pets they cared for. All 3 respondents above claimed to have contacted shelters and/or rescue groups before using Craigslist but were denied any help due to overcrowding and felt they had no other options. All 3 pulled or modified their ads when we explained what really happens to “free to a good home” pets. So, what really happens to “free to a good home” dogs? – Last year, Jeffrey Nally Jr. was charged with 29 counts of animal cruelty because of the massive number of dead animal found on his West Virginia property. Nally had obtained at least 29 animals through “free to a good home” Craigslist ads, just like the ones we responded to. – Patricia Hervey of Texas, is responsible for the deaths of hundreds of animals at her Bexar County home. Hervey prowled Craigslist for “free” animals, claimed to run an animal shelter near San Antonio, took money from dog owners to use to re-home them, then shot and killed them, dumping their bodies in a lake behind her home. 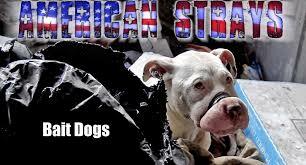 – Dogfighting circles use free Craigslist dogs as “bait dogs” for training their own dogs to fight without risking injury, or they take in free dogs and train those to be fighters as well. – Other groups, called “Bunchers” scour classifieds for free dogs, then sell them to laboratories for animal research and experimentation. – And, sometimes, a free ad for re-homing a purebred, unaltered dog will result in the former family dog being picked up by a puppy mill breeder to spend the rest of her life as a caged, malnourished, unloved breeding machine. The people looking specifically for “free to a good home” dogs will go to great lengths to appear legitimately interested in providing a perfect, loving home for the dog. They present themselves as well-to-do, responsible dog lovers. They often bring children along to meet the dog and owner to avoid suspicion. They will make up elaborate stories about previous pets, a perfect home and yard, and promise to provide a loving forever home to the helpless animal. If, for some reason (and it better be a good one), you must re-home your pet, there are some steps you can take to ensure he goes to a good home. Pet-Abuse.com offers up some wonderful tips for pet owners facing this challenging dilemma. Ask each prospective owner for his/her veterinarian’s name as a reference and check it. Ask for a phone number and explain that you’d like to check on how the animal’s doing. An honest person will gladly share the information with you. Have the person sign an “adoption” contract concerning your pet stating that they will not go to research. Having this in writing gives you legal recourse. Ask to visit the place where your pet will live before your release the pet to the new owner. If a dog owner truly cares about the life and well-being of the dog being re-homed, taking the steps above to ensure he goes to a good home are worth the time and effort. What should you do if you find a “free to a good home” dog classified ad? Whenever possible, contact the dog’s owner and warn them of the dangers of giving away their dog for free. As we discovered, not everyone will listen. So, if the ad is on the internet, contact the site owner to request that they disallow the posting of ads for free animals on their site. Bookmark this page and send the link to anyone trying to give away a free dog. These dogs are depending on us. 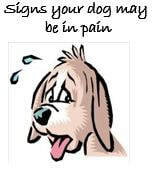 ​Signs your Dog May Be In Pain. ​Some dogs will let you know when they’re in pain, but others act more stoic. Dogs are generally thought to have a higher tolerance for pain than humans, and some dogs will try to hide their pain as a natural survival instinct. ​A puppy appears to be well-behaved, confident and acts like Mr. Sociable one month, yet by the next, behavior problems are rife, temperament problems appear seemingly out of nowhere and basic manners and off-leash reliability crash and burn.